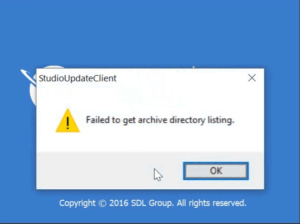 The same happened when trying to manually check for updates (Help > Check for updates [in the Action ribbon group]) and when launching Multiterm. 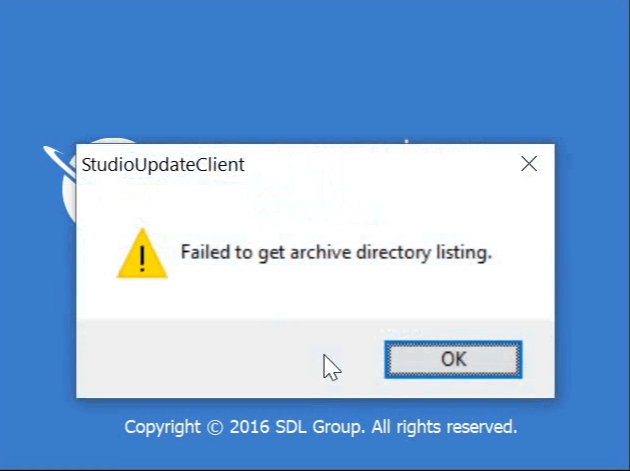 There was clearly something wrong with Studio’s update module. I tried repairing Studio’s installation (SDL KB article number: 000001414), as well as resetting Studio (SDL KB article number: 000001417), but to no avail. I then decided to contact SDL and with their help we have indeed isolated the problem to a corrupt Update module. There is plenty that can potentially go wrong–albeit seldom does–when upgrading the operating system and/or a program, and initially I suspected Windows upgrade might have broken the Update module. However, other users who have also upgraded Windows didn’t experience this or any other issue, and therefore I concluded this was unrelated. Something, somewhere, went wrong but there is nothing much to learn from it. 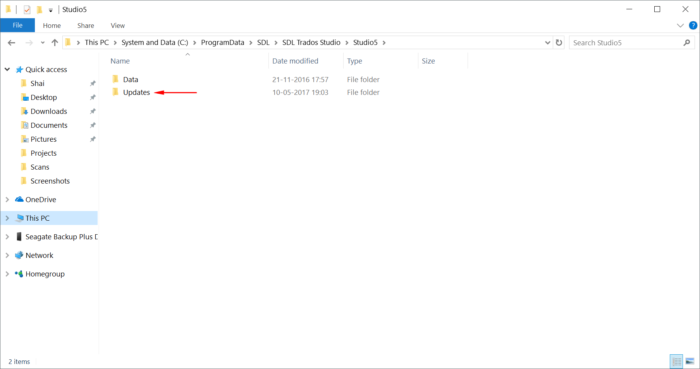 That said, the problem of not being able to update Studio still remained and I wanted to get it fixed. 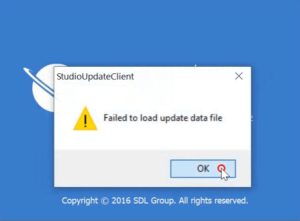 Repair Studio’s installation by following the instructions in SDL KB article number 000001414 [link]. That’s it. A simple fix for a rather annoying problem. Thanks Shai for this helping article. I have looked for solving about the problem long time. Thank you for visiting and reading the blog, and I’m glad you’ve found the solution helpful.